This was inspired by some of the recent work clh was doing...mostly the "singing in the rain" piece. I really like the economy of style...using one shape mostly to awesome effect. 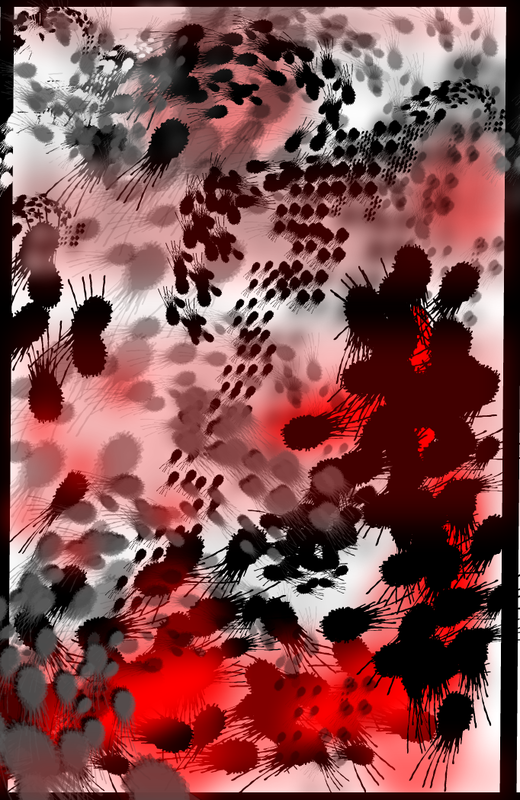 I tried for the same above, using just one shape (blotch) except for color. I get a night mara of that strip dude! Be carefull with that man!